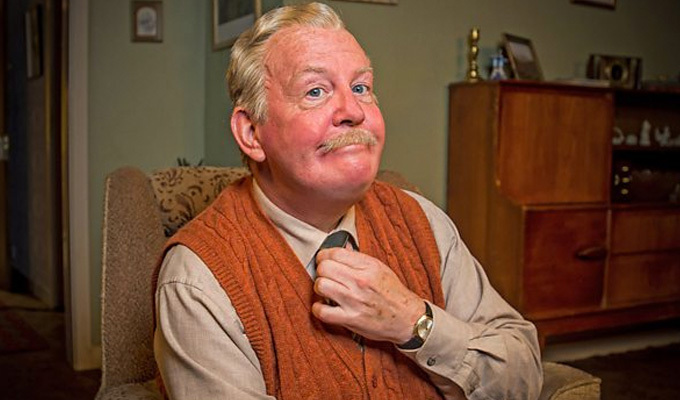 Still Game will return to BBC One for its eighth series on March 8. Here creators Ford Kiernan and Greg Hemphill – who play Jack Jarvis and Victor McDade respectively –talk about the show. Last series was a huge ratings hit – how does that feel? It's reassuring to know that people are still engaging with it after all this time. It's great hearing about kids picking up on it from their parents, people who hadn't heard of it first time around which is a great vibe. Even as kids, Greg and I were watching things like Steptoe and Son years after it had first been aired. So it's testament that a good fan base is forever giving and they've been just great to us. What does this series offer fans? We've got such a brilliant cast full of 'go to' characters we write comedy for now. Not to be flippant but it makes it easier at times to come up with a story and be able to say 'right who are we going to give this to?'. If you were in a sitcom where there were only three characters it would be tough but we're a bit like The Simpsons now, there are so many characters, the writing is that bit easier. It could be anybody. I mean Greg and I were both even money at one point and I was tempted to go and have a bet myself but I'd need to go in with a mask on. It's another quirk for us, it's never happened before. Bruce Morton is arguably the best stand-up comedian in Scotland. He's got timing, dead-pan and all the skills we need for the character we cast him to play - the new undertaker, I D Sheathing. We've waited for years to place him and we've finally got it. Bruce got me into comedy many years ago. We worked in an office together and Bruce had already started doing stand-up and he said to me: 'You should give it a go' and basically shoved me up on the stage. I did five minutes and within a wee while I was an established comedian. I've got a lot of things to thank Bruce for, we both have. Well he looks a little bit like Tom Petty. He dresses like the Hooded Claw. He almost hovers when he walks and he has a sinister touch about him, a blank deadness in his eyes. As far as the character was concerned, Bruce embodied Sheathing immediately - which is a strange word to use when you're describing a funeral director. You've got a guest appearance from Craig Ferguson in this series - how did that come about? What a coup! We discovered only by accident that Craig liked Still Game. Greg and I went out to America to write and we got in touch with him and he invited us around for a cup of tea. We got talking and he said how much he loved the programme so we asked if he'd be up for being in it. He didn't even ask what the character would be or to see a script or what his position would be in the episode. So we came back and we wrote this character for him and we're delighted that he loved it. When he came on set to film with us it was just like pulling on a pair of old socks, he fitted straight in instantly. We've been very lucky - it's a major deal to get someone with Craig's profile and experience in the show but I probably shouldn't say that in case he gets a big head! It's the comfy cardigan routine, as soon as you pull it on, you're there. I do look forward to it: an instant bit of ageing. Don't get me wrong, by the end of filming I could happily set fire to the costume but at the start I'm always like "yas! I'm back!" I love the one we've called South Africa. In it, Jack and Victor get the chance to get away for the weekend. They get wind of the fact Navid has a caravan and do their best to get the keys to it. I like contained episodes where characters are stuck in the one room and a good proportion of that episode, Jack and Victor are stuck in that caravan. In the original play of Still Game we were stuck in the house because the lifts were broken so I do like these enclosed episodes. I've always kind of fancied being Isa. It's the gossip factor, the technique of passing gossip on in that surreptitious way that I find fascinating. Count Arthur Strong - it was a great programme. It was just brilliant. I'm also a big fan of Not Going Out so I'm chuffed to bits we're going to be following them this year. It feels fantastic and exciting and the fact that it didn't happen overnight means it's very special. These characters have been with Ford and me for more than 20 years. They've changed and mutated over time. They look different. It's like watching an early episode of The Simpsons where they're not drawn quite the same. 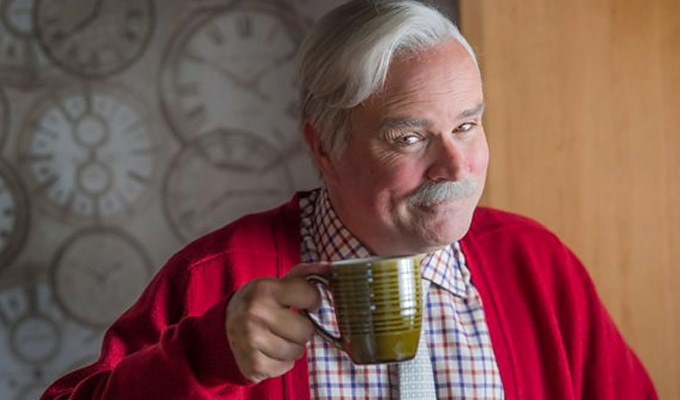 It's exciting after all this time to find new viewers to come along and love Still Game. Expect the unexpected. It's always nice to retain an element of surprise and keep the audience guessing but keeping the bits of the show that the fans love. As the show goes on we do take care not to take it off in a direction which wouldn't work for the characters. The thing is the audience know the characters as well as we do now so we have to really make sure that the episodes are fun, believable and surprising. Probably Grim Up North which is the second one because it's quite shocking and poignant. There's even a parody of Jaws in one of the scenes involving the puggy machine [slot machine in pubs]. Inside No.9 - I'm just obsessed with it at the minute. It's got such amazing writing and the performances are nuanced and incredible. In a landscape where everything is about returning characters, to create a new set of characters every week is such a challenge and those guys are so skilled. It's a brilliant show and you don't know what you're going to get week to week - you might get something terrifying or really sad or even a Shakespeare parody. It's amazing.